Get what you need, when you need it. Take advantage of our rental programs to dip your toes – you’ll get the job done right and you’ll experience the benefits of the newest state of the art technology, while you take your time to make the final decision. During your rental period, if you realise that you don’t want to give up the value you have just discovered, there’s an answer for you, our convenient rental conversion. UPG programs are a great way to make up your mind, based on your own real-life results. We offer advanced solutions for both public and private sector surveyors to enable fast and accurate data collection using instruments such as GNSS/GPS systems and optical total stations. The information collected is managed and processed on powerful Trimble data collectors or office software, or can be transferred to CAD, design and GIS packages. Whether you need to hire surveying equipment, or you need replacement surveying instruments while yours are being serviced to minimise downtime, or you need to supplement your existing fleet of geospatial equipment, UPG has the latest, up-to-date equipment for all your surveying and geospatial solutions. For more information or to discuss your rental needs, select Contact Sales on the Contact Us page. Trimble Access software is designed to support your everyday work, including topographic surveys, staking, control and more. Offering a familiar, easy-to-use interface that will ensure your instant productivity, you'll experience less of the typical downtime associated with learning new software. Trimble Access is ideal for General Survey coupled with the GNSS Rover Kit. 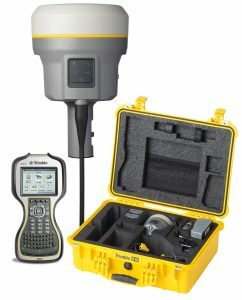 The Trimble R10 GNSS Receiver is the simple solution to all your site measurement and stakeout applications. The R10 GNSS VRS Rover Kit utilised the Trimble VRS Network of bases, as a solution for a corrections service. This kit is an ideal solution for surveyors to enable fast and accurate data collection and to streamline stakeout requirements. Backed by a legacy of GNSS technology and surveying expertise, UPG can provide you with reliable Trimble GNSS survey solutions that meet your distinct requirements. Whether you need the cable-free convenience provided by Trimble integrated systems, the flexibility of Trimble modular systems, or the simplicity of handheld point measurement, UPG has a solution for you. Solutions that meet your optical and conventional surveying needs are available to rent. 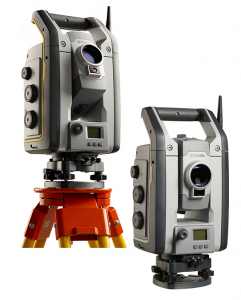 Trimble S7 Total Station combines scanning, imaging and surveying into one powerful solution. You will only need this one instrument on your job site to perform all your data capture. Trimble S9 Total Stations integrate the best field technologies plus the highest level of accuracy and specialised engineering features for the ultimate in performance and precision. 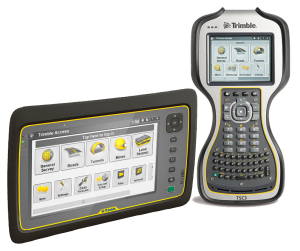 The Trimble TSC3 controller - Streamline the flow of everyday surveying work. Make field work more efficient with the fully integrated TSC3 controller. Run all the applications you need to perform office work from the field with the high performance Trimble Tablet Rugged PC. Trimble Access field software is available on the tablet and offers numerous features and capabilities to streamline the flow of everyday surveying work.